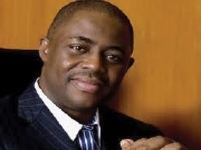 No, Sir Femi Fani-Kayode, YOU ARE WRONG! This article is a rejoinder to Femi Fani-Kayode’s recent essay, Communities Harbouring Boko Haram Deserve the Odi Treatment”. I wish to respectfully, but vehemently disagree with the ideas, perceptions, bases and facts leading to the conclusions in Femi’s essay dated June 23, 2012 posted in African Herald Express. My disagreement is firmly hinged on Femi’s apparent lack of understanding of the intensity, scale and character of the insecurity situation in the northern part of the country. More so, the entire essay especially paragraph 5 contains some embarrassing fallacies, which are quite perturbing and extreme, coming from a man of his standing. Those fallacies will be the main focus of this rejoinder. FALLACY ONE: Femi imagines that the Boko Haram sect is a unique organization of some sort, with card-carrying members who have a special mark on their foreheads, as would make them readily identifiable by anybody, including people and communities who habour them. The truth is that every Nigerian is a potential victim, habourer, or member of the Boko Haram sect. That maiguard that lives in, and watches over Femi Fani-Kayode’s house; that aboki that repairs or polishes my shoes; that water vendor that serves most of Lagos communities without access to potable water; that security chief surrounded by gun-wielding and mean-looking soldiers….everybody, anybody could be a member or innocent habourer of the sect’s members. It is worthy of note that Boko Haram members are ordinary citizens like everyone else, except that they have a self-acclaimed wicked agenda: to punish, kill and destroy! Unmasking their identity is an exercise detectable by security expertise, tactful vigilance and collective surveillance. In the very least, applying Femi’s ‘decrees’ as summed in paragraph 5 above could be interpreted to mean that he is equally urging the United States of America to unleash drone attacks, air strikes, nuclear and thermo-nuclear weapons on Nigeria since the country is habouring terrorists. What a “patriotic” call! On that note, I am extending a call to Sir Femi Fani-Kayode to demonstrate leadership and martyrdom for the sake of Nigerian unity, by relocating with his family to the alleged Boko Haram-habouring communities, and be the first-known collateral damage, brought down in the name of countering terror. By so doing, Nigerians shall extol his virtues, and appropriately immortalize his name by renaming all streets and federal universities after him. FALLACY TWO: Femi again, expounds the uncharitable theory that collective punishment must always accompany, or flow from the felonies of a few individuals. This idea is consistent with the pervading culture of corruption and impunity in public office whereby the inactions of a few political leaders continue to inflict monumental social and economic deprivations and unrivaled poverty on the majority. Femi belongs to that political class that has continued to twist and manipulate both the judicial and legal systems in order to escape accountability. Today, the Senate Committee has launched a probe to investigate the linkages between the corruption-infested, incompetently-run aviation sector and the recurrent plane crashes. Femi has not attended these public sessions, nor has he given account of his stewardship to anyone. It is therefore not strange to continue to hold the view that collective punishment is befitting for Nigerians, especially when the bearers of the unjust mass punishments have neither the voice nor visibility to engage and challenge the structures of their disempowerment. The communities alleged to be habouring Boko Haram are also victims of Boko Haram. In fact, they are the ones bearing the brunt of the crisis. In places like Budum in Maiduguri, Borno State that has been the locale of fiery bomb attacks and military invasions, residents live in total, perpetual fear. Their markets have been burnt; their homes and mosques have been demolished; their sons have been imprisoned; their wives and daughters have been assaulted; mothers have watched babies die in their hands because they could not access medical care in time due to curfews and shutdown of hospitals; young children have witnessed the murder and beheading of their parents; their businesses have been destroyed; their schools have been closed; they have no money, no food, and totally stripped of their sources of livelihood. Ordinary rural communities face the double blow of a military presence, which is routinely accompanied by a serious risk that they will be caught in the crossfire between the military and the Boko Haram members. The pains of this community are replicated across several northern states. When I interviewed the Parish Priest of St Patrick Catholic Church in Maiduguri that was bombed in June 2011, I asked him why he had stayed behind after all the nuns, catechists, mass servants and the religious have all fled. Lamenting the death of several indigenous members of the parish killed in the frequent crossfire between the sect and security forces, he said that he has been assigned to be there to continue to win souls for Christ. He would die there if the Lord willed it. If the government adopts Femi Fani-Kayode’s kill-them-all approach, this priest is among the categories of people that would die needlessly simply because he lives in a Boko Haram-infested region winning souls for Christ. After all, his death would be a mere collateral damage. FALLACY THREE: Femi’s essay is deeply immersed in the erroneous assumption that those calling for dialogue are either sympathetic to the Boko Haram sect or are outrightly unpatriotic. SPACES FOR CHANGE’s latest study, in which I participated in, made similar calls for dialogue. The study concluded that any credible peace process must involve all parties to the conflict, including representatives of the government, the crisis-torn communities, members of the Boko Haram sect, religious leaders in the region and victims/survivors of the attacks. A framework for discussion, a forum for articulating grievances, and a well-developed agenda are all needed to begin a negotiation process that will lead to a comprehensive solution of the relevant political, economic and security problems. Again, I disagree that Goodluck Jonathan’s heeding of those calls is symptomatic of weakness. No sir, that is not correct. In fact, paragraph 7 and 8 of Femi’s essay are full of contradictions. In one breath, he describes dialogue proponents and the government’s acceptance of same as a “shameful display of weakness, incompetence and insensitivity when faced with their terror”. Yet, in another breath, Femi openly advocates for the speedy convocation of a Sovereign National Conference. “That, in my view, is the only vehicle that can provide a lasting solution to the monumental challenges that we are facing in our country today, including the scourge of Boko Haram”, Femi says. Is an SNC not a form of a dialogue? Was Femi advocating for a war-like engagement, baptized as SNC? FALLACY FOUR: Femi’s essay is totally disconnected from current realities, and effectively reflects his sheer misunderstanding of the complex dynamics of the crisis in northern Nigeria. That again is not his fault, but only a manifestation of the huge, and still widening disconnect between the governing and the governed. In my previous Boko Haram-focused investigation, ‘In the Killing Fields of Maiduguri”, I observed that key representatives of the present administration have not visited Borno State ever since the spate of bombings began in order to make a first-hand assessment of the volatile situation in the state, and show solidarity with affected families. In the past, such official visits to flashpoints have been found to provide an opportunity for the nation’s leadership to douse tension, identify with and share in the pains of a section of the country in trouble as well as starve off exodus by assuring fear-stricken Nigerians living in those areas of guaranteed security. Beyond cosmetic, over-photographed visitations and well-rehearsed tear-shedding at a few emergency spots, it is not the habit of “leaders” and politicians to make deliberate efforts to ‘step into the shoes’ of the suffering majority. Their understanding of any situation is only restricted to what news broadcasts showing on hi-tech laser TV screens churn out or what bigoted sycophants present as the truth. So, its easy to forgive Femi Fani-Kayode on this count. That is a longstanding practice he met on ground. He did not start it. FALLACY FIVE: Femi Fani-Kayode’s celebration, endorsement and approval of genocide as a strategy for curbing Boko Haram insurgency is rather very very unfortunate. It clearly reaffirms that the Nigerian political class have scant regard for human lives, especially if it is the lives of the poor that are at stake. What happened at Odi, is a crime against humanity, deserving of the kind of treatment and punishment meted onto Pinochet. Saddam Hussein, Charles Taylor et al. Practices in China in 1937 between Chinese and Japanese Forces, the Korean conflict of 1950-1953, and other conflicts revealed the tendency of states to apply most of the rules governing war strictu sensu in non-war hostilities. The necessity for the increased protection of the civilian population and of the civilian objectives in time of armed conflict led to the convening of the Geneva Conference of 1974 – 1977 on the Reaffirmation and Development of International Humanitarian Law Applicable in Armed Conflicts, and adopted as additional to the Red Cross Conventions of 1949, Protocols I& II. The essential purpose of these rules is to reduce or limit the suffering of individuals, and to circumscribe the area within which the savagery of armed conflict is permissible. Femi’s essay and decree for a repeat of the Odi massacre constitutes a slap on global efforts to minimize the horror communities caught in the web of conflict are facing. Again, to err is human, to forgive is divine. After all, forgiving the numerous, continuing blunders by politicians has become the pastime of most Nigerians. And here again, Sir Femi Fani-Kayode is forgiven. May he go and sin no more. This is a timely rejoinder which has raised a lot of follies in FFK’s earlier piece. I agree with Victoria’s sentiments here, particularly as they pertain to d sanctity of innocent human life. I however, depart from her endorsement of dialogue as a solution to d problem. A cursory look at her comprehensive description of d discrete nature of BH members n their operations will reveal d unsuitability of d dialogue option. Moreover, considering what BH has proclaimed as its objectives n d dastardly methodology they’ve adopted to prosecute their nefarious ideologies, methinks our govt has a heavy burden to craft a novel approach to counter BH, and none will be feasible without proper intelligence gathering n strike-force expertise. Given d volume of atrocities n quantum of innocent blood already shed by BH or at their behest, anything short of painful death for any BH member or supporter will be a travesty of justice. Stoic, we appreciate your comments. In SPACES FOR CHANGE’s discussion forum where this issue was extensively discussed, I tried to compare the counter-terror strategies between Isreal and Nigeria. Israel adopted a deliberate strategy to increase the Isreali Defence Force’s intelligence operations, acquire more superior technological might and warfare to counter the Palestinian campaign of terror. Here, the Nigerian security forces are known to operate in bomb-infested climes without a corresponding strategy for the development of formidable military capabilities. Building formidable military capabilities does not translate to genocide. As was the case in Isreal, it simply means that they stepped up action “In some areas of military technology, such as precision guidance weapons, space-based platforms for intelligence and communications, and other forms of advanced electronics. Today, Israel has become a world leader”. Nigeria can be more creative in its handling of the security crisis, and learn from the best practices in other jurisdictions. Regarding the proposal for dialogue, the ultimate agenda here is PEACE, even if it may entail appeasement. Victoria’s proposal is anchored on the urgency for negotiated solutions to the conflict considering the fluidity of the agenda of the extremist sect. If you also read the history of the Isreali-Palestinian conflict, dialogue was at several times, integrated into the peace-keeping plans, but tactically employed by the Isreali side as an combatant strategy for over-powering the Palestinian offensive. In fact, I will try to write a full note detailing the nature, character and direction of the dialogue proposed. I think this rejoinder got it all wrong;how?i can see the same weaklings in Shagari in handling the Chadian gendermes incursion to Nigeria in the early 80’S in president Jonathan’s handling of the Boko Harams.The philosophy of wars say that in time of war all weapons are fair.the enemies are using this to the best of their ability by attacking every possible point that will affect the collective feelings of Nigerians.The best option for GEJ is take them up in their own style and clear them off once and for all.talking with them will be so scandalising.America did not need to dialogue with anyone before they took up osama bin laden and from the Territory of another country.without considering or thinking of any collateral damage.We want to see their mass burial ground GEJ,we can’t wait.